If you want a vehicle that’s about more than getting from A to B, new Dodge vehicles are your go-to. Summed up by Edmunds.com as “aggressively styled and performance-oriented,” the Dodge lineup includes legendary performers like the Charger and Challenger, plus exhilarating SUVs and crossovers like the Journey and Grand Caravan. What Can I Expect From a Dodge? Behind the wheel of a Dodge Challenger or Charger, you’ll command up to 707 hp and 650 lb-ft of torque from a supercharged Hellcat engine. Piloting a new Dodge Durango means harnessing a best-in-class 6,200 pounds of towing. Whether you’re in the center of Monticello or cruising between Anoka and Ramsay, you’ll quickly discover that all Dodge cars and SUVs are bred to stand out. Your Dodge dealer delivers luxuriously-equipped models that show unequalled spirit when you hit the gas. 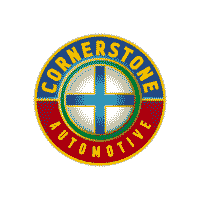 Contact Cornerstone Chrysler Dodge Jeep Ram to find out more, or feel free to apply for financing online.